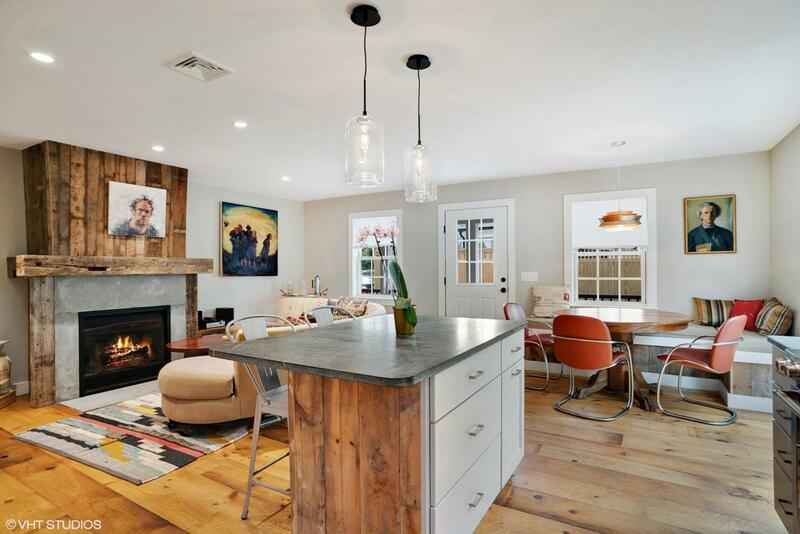 52 Creek Road Road #5, Provincetown, MA 02657 (MLS #21808519) :: Rand Atlantic, Inc. Almost new Construction with attention to detail and design in an ideal West End location backing up to Conservation Land. These custom built Condos live like a single family with no adjoining walls for quiet and privacy. Great private wooded yard and patio backing up to Conservation land. Reclaimed wood from Pennsylvania used throughout to give character and detail not typically found in new condominiums. 2 bedroom, Den, 2.5 bath, 2 parking spaces, gas fireplace, double shower, outdoor shower, bocce court. This newly constructed 1,300 s.f. 2BD/2.5BA condominium was thoughtfully designed and is located on a quiet side street in the West End. Custom amenities include flooring, ceilings, trim and mantle made from reclaimed wood as well as ceilings made with reclaimed wood. Listing provided courtesy of Michael Miller of Kinlin Grover Real Estate.